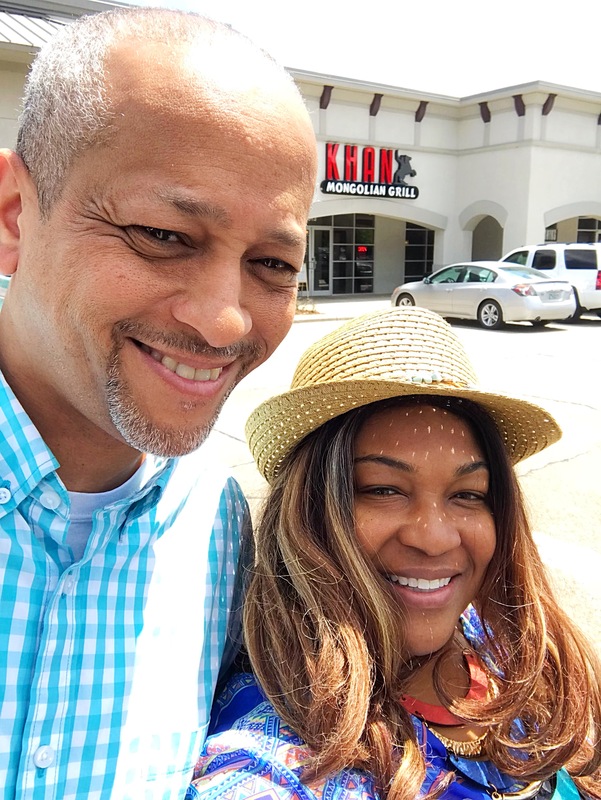 A few weeks ago my husband and I met for lunch at Khan Mongolian Grill. 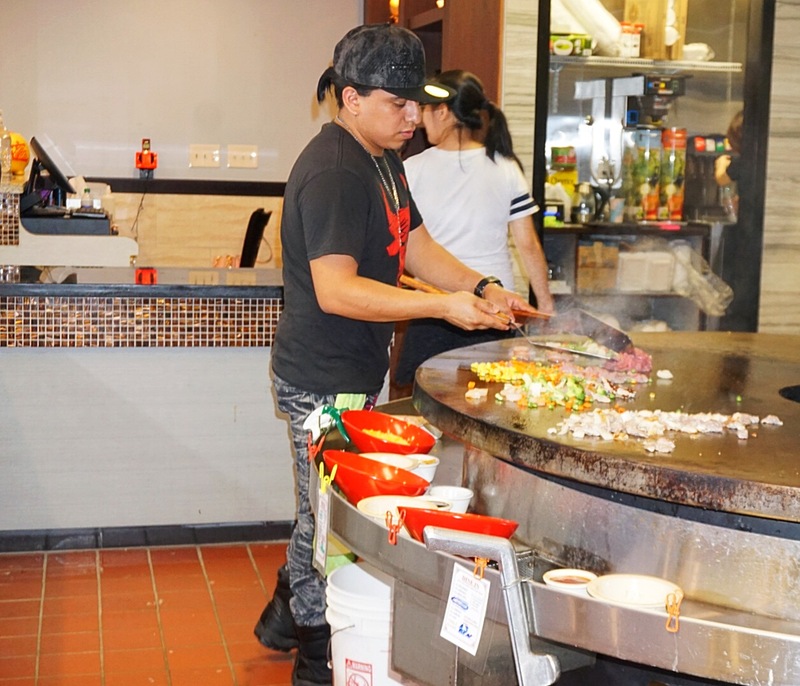 We arrived at Khan Mongolian Grill and were immediately seated. The hostess proceeded to tell me how we order. There was a tray that was placed on our table with a erasable marker, a bowl and a laminated card. The card was where you would write your name and table number before leaving for the bar. 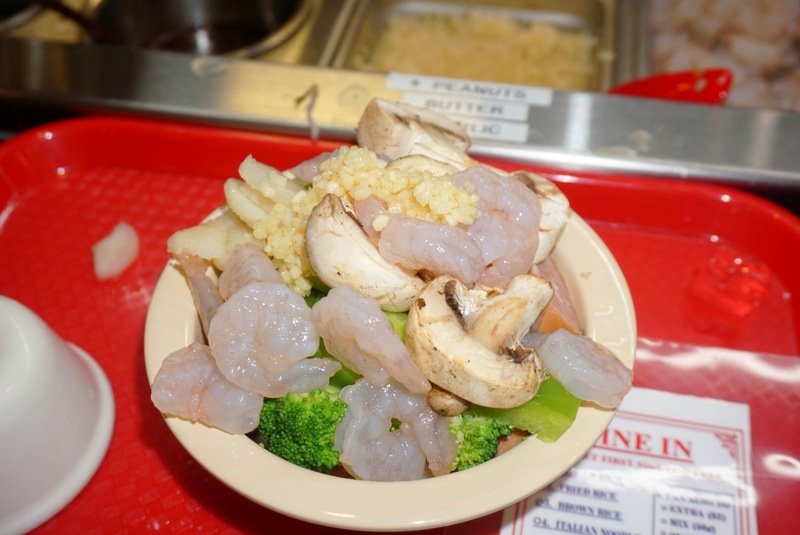 As well as circling what type of noodle or rice you wanted. Options like Steam Rice, Brown Rice, Italian Noodle, Udon Noodle, Cabbage just to name a few. There were several other options to choose from. 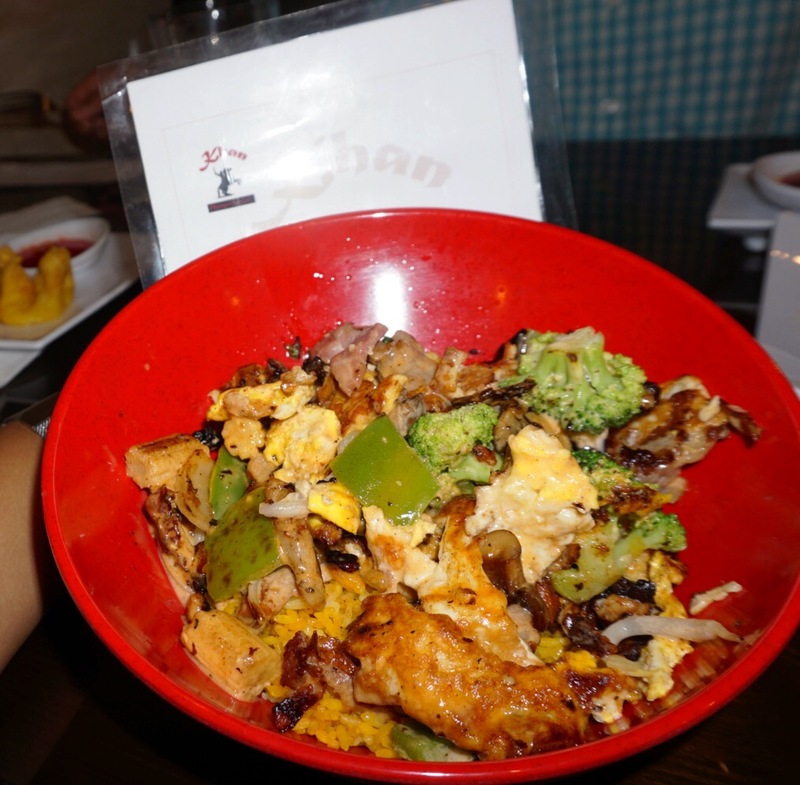 Khan Mongolian has a really cool concept, Build Your Own Bowl. The bowl begins with your protein of choice, Beef, Chicken, Teriyaki Chicken, Bacon, Sausage and so much more. The variety was plentiful. Offering something for everyone. 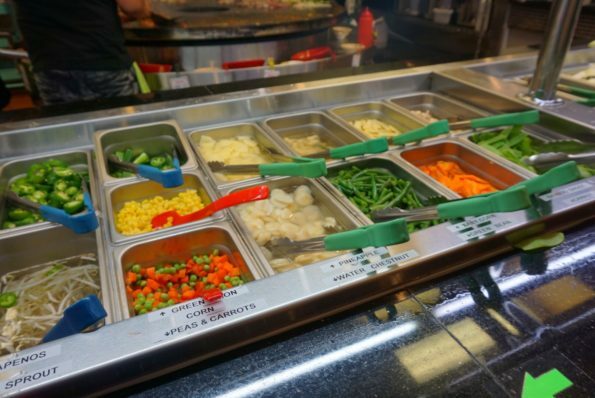 Next were the vegetables, broccoli, cabbage, onions, cucumbers, bell peppers, Jalapenos, corn, green beans and a whole lot more. Love seafood, there were also the options of white fish, shrimp or scallops. The finishes for the bowl were the sauces and spices. 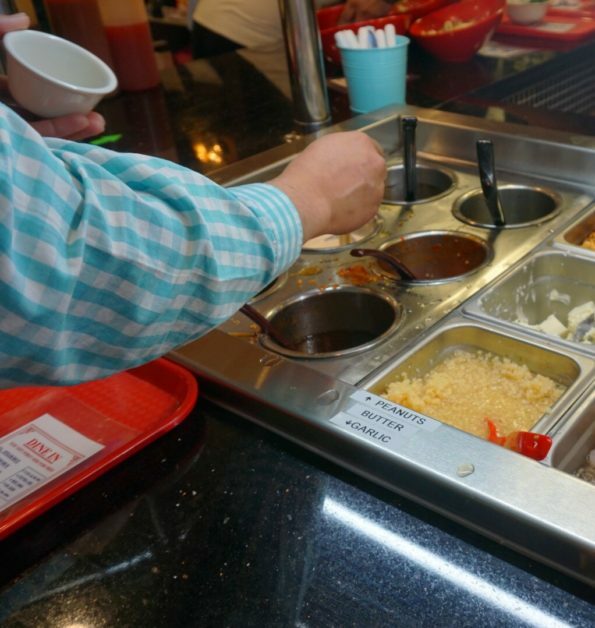 The sauce options were Sweet and Sour Sauce, Szechuan Sauce, Brown Sauce, Yum Yum Sauce, General TSO Sauce and the Great Khan Sauce. 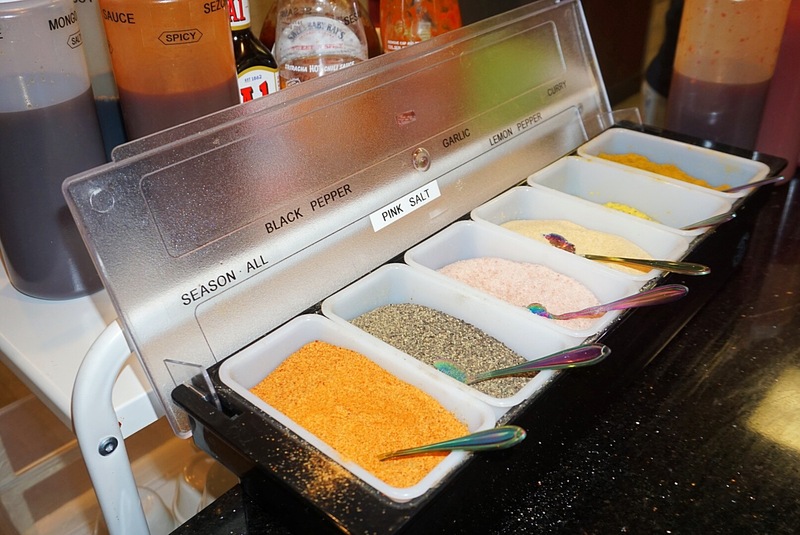 The spice options were Season All, Black Pepper, Sea Salt, Garlic, Lemon Pepper, and Curry. 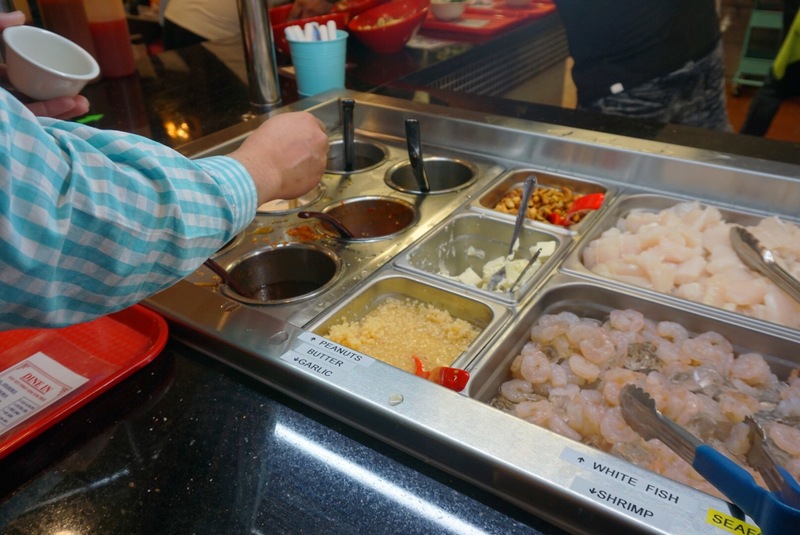 This Build Your Own Bowl allows you to be your own chef without cooking it yourself. Create magic in the bowl! My husband and I both created our own bowls. 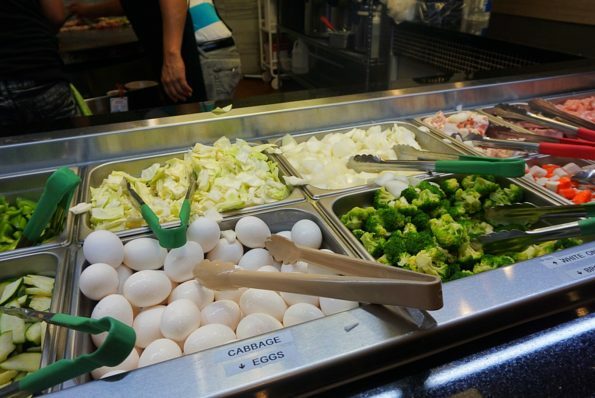 My husband’s bowl was made with Steamed Rice, Chicken, Bacon, Green Onions, Broccoli, Onions, Mushrooms and Egg. He chose the Yum Yum Sauce, Black Pepper and the Pink Salt. 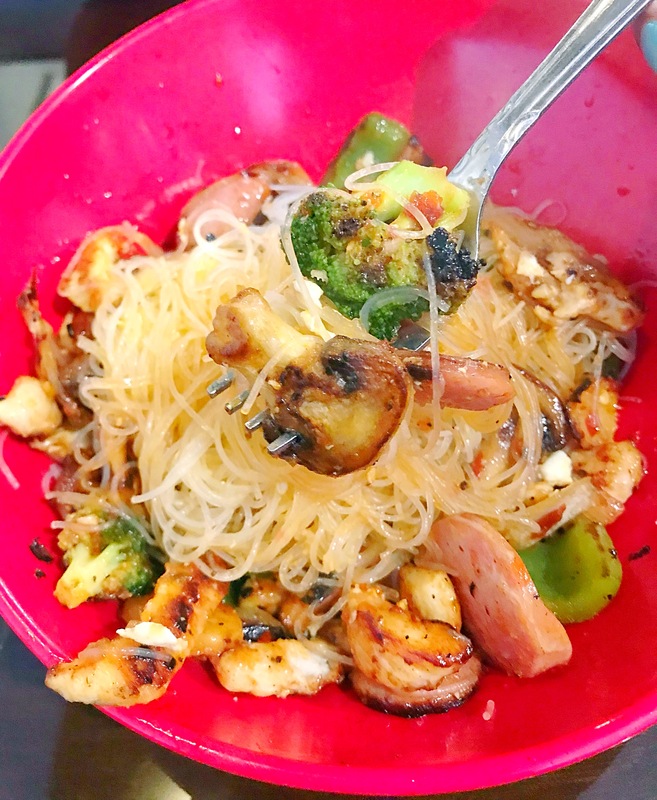 My bowl was made with Angel Hair Pasta, Sausage, Shrimp, Bacon, Onions, Bell Peppers, Chicken , Garlic and Broccoli, Season All, little pink Salt and the Great Khan Sauce. We handed our dishes off to the ladies waiting to send the dishes to the grill. After dropping the dishes off, we returned to our table and waited for our food to arrive. Our appetizers also arrived at the table. 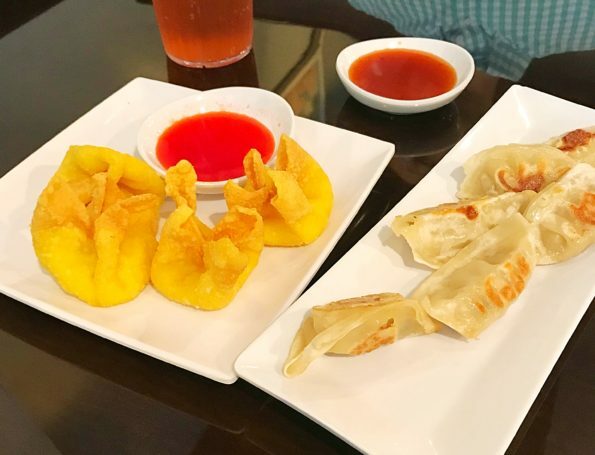 We ordered the pot stickers and cheese wontons. The pot stickers were filled pork and steamed served with a tangy sauce. The wontons were filled with cream cheese and served with a sweet and sour sauce. Decent appetizers, nothing fancy but they were ok.
After approximately 15 minutes my husband’s food arrived at the table. His food was really good. 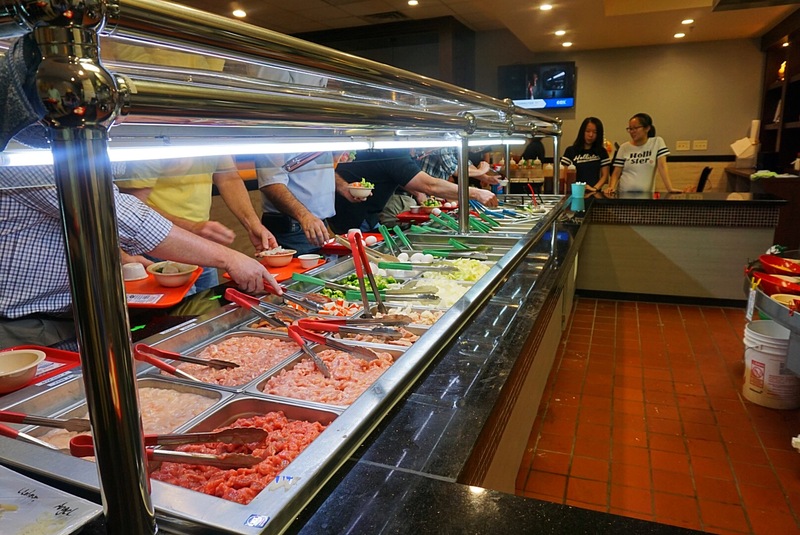 The rice, veggies and meat were prepared nicely. The plating wasn’t fancy but his dish was delicious. 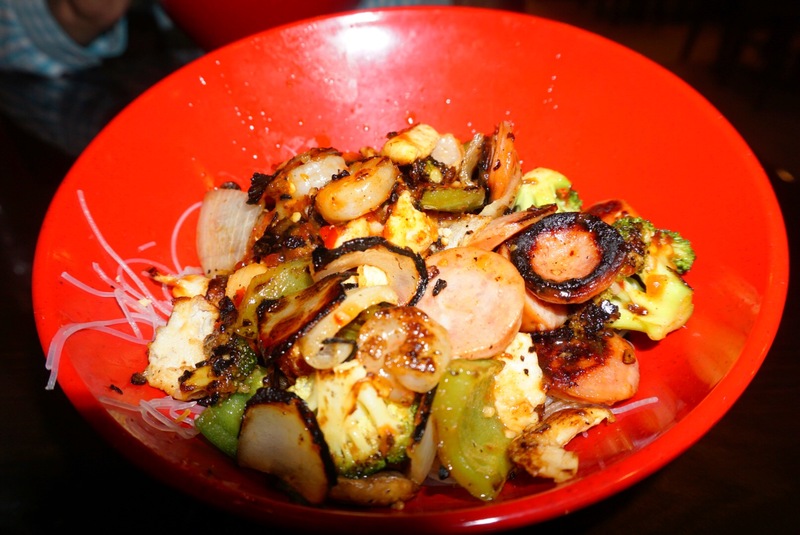 The yum yum sauce gave the overall dish a great flavor. My food flavors were superb. The flavors and spices were popping. 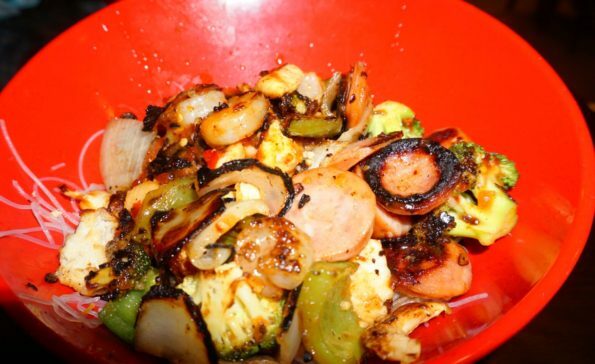 I loved the Khan Sauce with the spices I chose. My only complaint about my dish would be that some of my sausages were scorched. 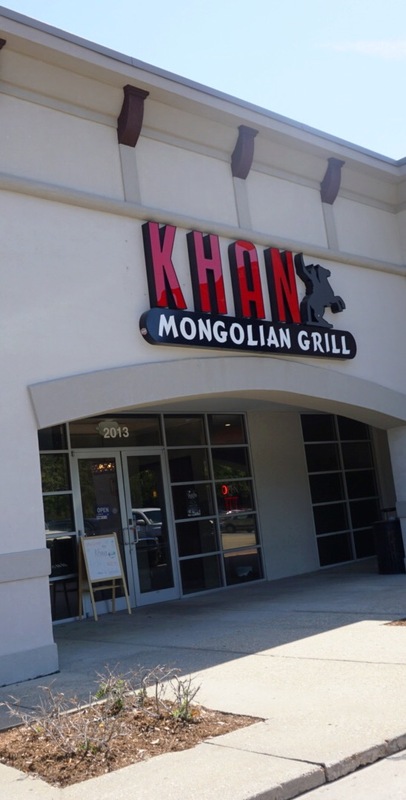 But it could have been because of the Khan’s sauce. My dish arrived 10 minutes after my hubby’s arrived. 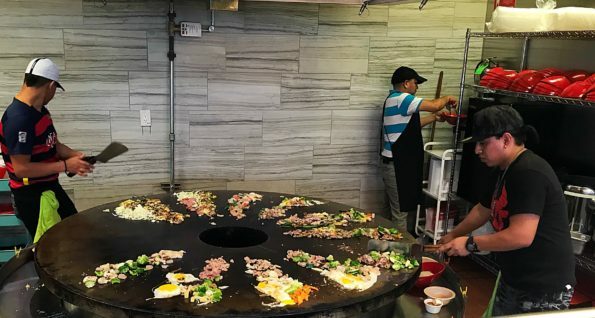 I know that they might be working on timing of preparing the dishes and mixing appropriately, so I will give them a pass. 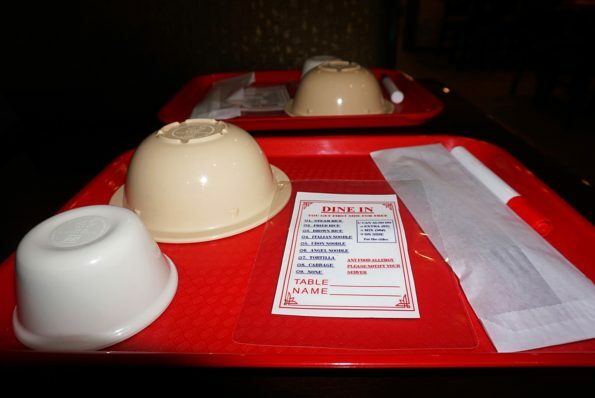 But I think they should work on delivering the dishes to each table at the same time. Overall the food was really good. I love the concept. The restaurant was nice and matched the theme of the food. The options were endless, you can eat there every day of the week and never get tired eating the same thing. Great theme, “You Pick it, We Grill It”. 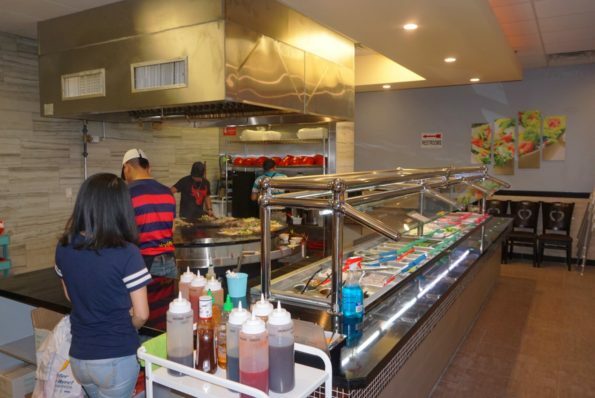 The restaurant has the possibility to be a go to for people often, but the key will be can they remain consistent. 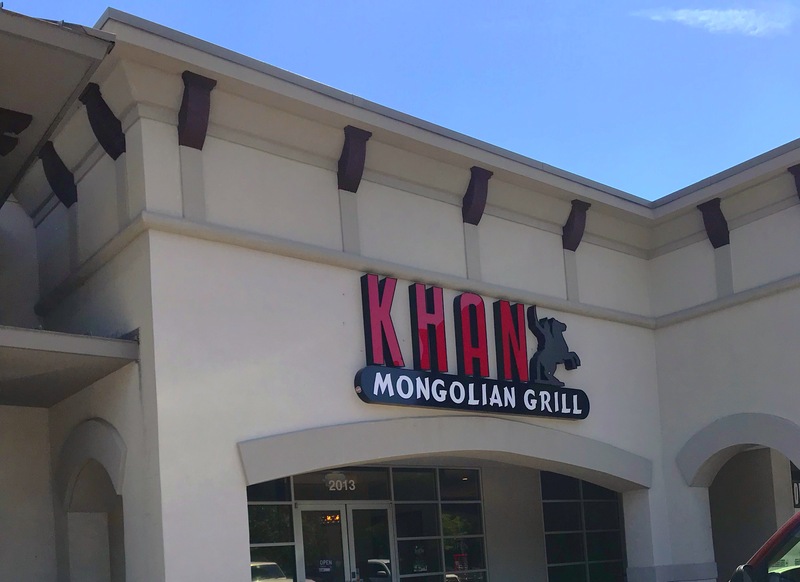 Khan Mongolian Grill is located at 2013 W. Pinhook Rd. Lafayette, LA 70503. The Hours of Operation are 7 days a week from 10:00 a.m. – 9:00 p.m.
Be sure to go and check out Khan Mongolian Grill and tell them that Da’Stylish Foodie.